I had some free time this evening so I headed to the park to continue investigating all the new features on my XP Deus metal detector. 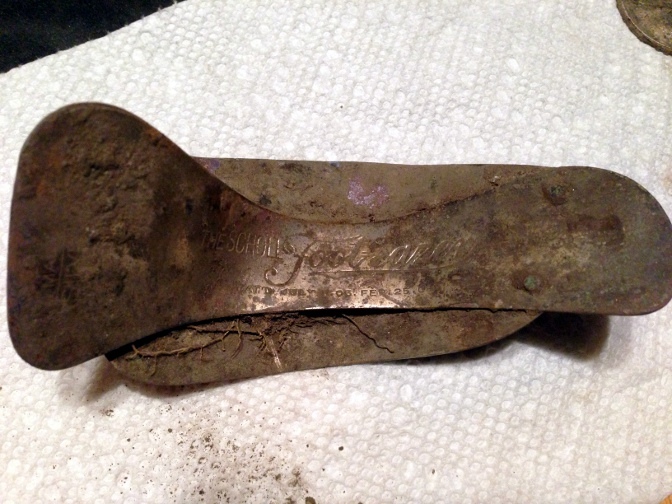 I knew I was in an old spot because after the nickel I found Dr. Scholl Footeazer, patented in July 25, 1905. The Footeazer is a shoe insert. The picture below shows the underside of it. On the top, the Footeazer had a surface of leather or cloth. The bottom part was supposed to spring as the user walked. 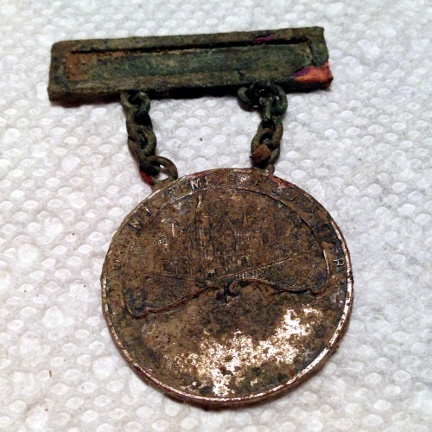 It needs better cleaning but I can see that it is a Wichita Kansas Scottish Rite Temple medal. 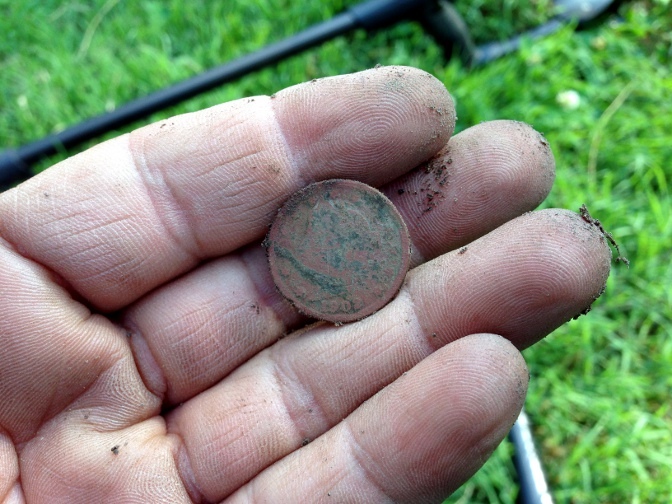 The reverse is still too encrusted with dirt to see what’s written on it or what emblem is depicted. Now, I think my version of the metal may be older because of the style of the name tag. 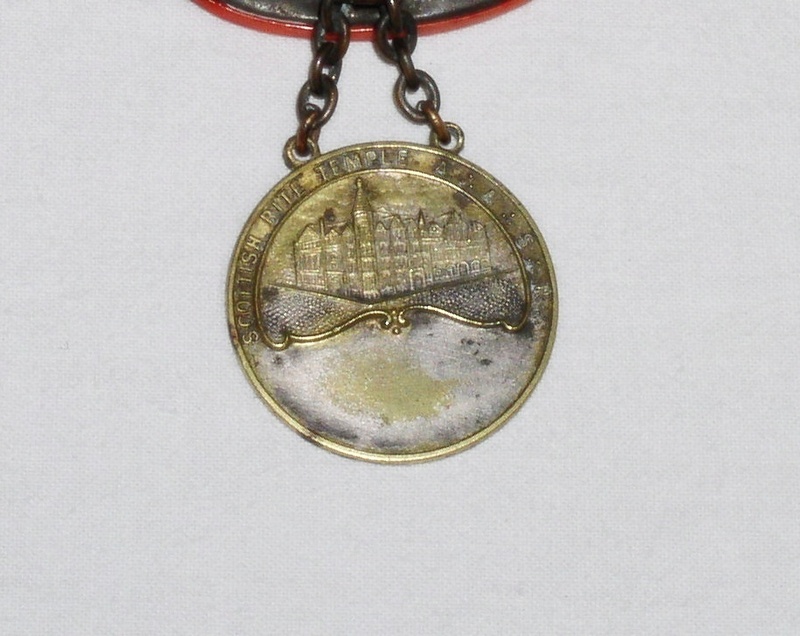 An interesting bit here is that the temple depicted on the medal, shows that the tower in the corner of the building has a copula; when you visit the temple today, the tower has no cupola anymore. I wonder what happened to it? 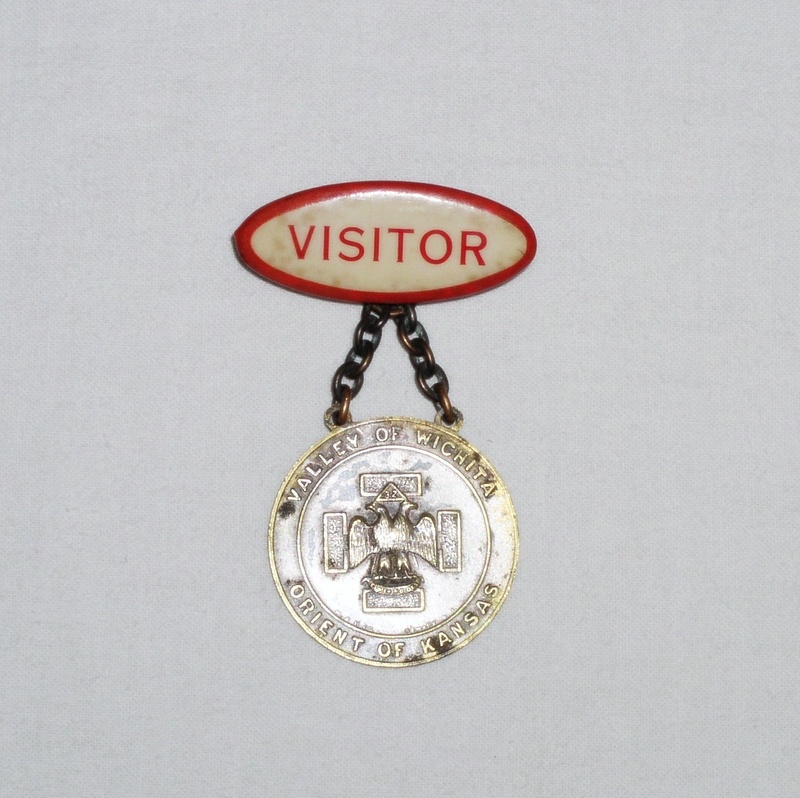 The Scottish Rite Temple depicted in this medal was built in 1887. I am definitely getting used to the full tones feature of the Deus. Now I need to figure out how to exploit the deeper capabilities of the machine.